Your vehicle’s stability, performance and safety relies on it’s wheels and tires. So it makes sense that you’d want to keep your auto tires and wheels in good repair and in good alignment. Below, you’ll find articles full of helpful information that will help you choose, buy, and maintain your auto tires and wheels at tire stores in Alameda County, including those serving customers in Oakland, Fremont, Hayward, Berkeley, San Leandro, Alameda, Union City, Pleasanton, Newark, Dublin and other areas. You’ll also read about wheel alignments and how this simple maintenance item can help your car tires last longer and keep your vehicle running more safely. Tires wear down, wear out, and need replacing. While this happens to every tire, it happens at different rates based on the type of tire, driving conditions, how you drive, and the condition your vehicle is in. So, how do you know when you need new tires? Check your tread depth. Tire tread depth should never dip below 1/16 of an inch. You can ask a tire service to check the depth of your tire treads, buy a tire tread depth gauge, or use a simple penny test to check tread depth. Insert a penny head-down in the tread of the tire. If you can see the top of Lincoln’s head, it’s time for new tires. Cracks appear in the tire sidewalls. It’s easy to see cracks and other imperfections in the sidewall of tires. Cuts, gashes, cracks and other signs of deterioration can be a sign of impending leaks or blowouts. If you see tire sidewall cracks, take your tires to a local Alameda County auto tire shop in San Leandro, Berkeley, Hayward, Fremont and Oakland or another area near you, and ask them to check the integrity of the tires. Vibrations are not a good sign. All tires create some kind of vibrations while you drive, but excessive vibration can be a warning sign that your tires are failing. Vibrations may also be a sign of tire misalignment, wheel misalignment, and brake or shock trouble. Look for the tread wear indicator bar. Tread wear indicators are built into new tires. Tread wear indicators look like flat rubber bars that are built into the treads. While you can’t see them in new tires, they begin to show as the tire tread wears. When one or more are visible, you know it’s time to buy new tires. Beware of damage to and imperfections in the outside of the tires. If you see bubbles, blistering or bulges on the outside wall of the tires, you should take your tires in for inspection immediately. Bulges and air pockets can be an early warning sign of a blow out. Irregular tread wear is a problem. Irregular tread wear can be a sign of wheel misalignment, a needed tire rotation or needed car repairs. Beware of extreme or dramatic tire wear, uneven tire wear, or spots that appear to be thinning. Replace old tires. The recommended replacement time for tires as offered by the National Highway Transportation Safety Administration is six to 10 years. If your tires are six to 10 years old, you should have them inspected and replaced as advised by your Alameda County auto tire center. What Are Auto Wheel Alignments? Wheel alignments are a standard car maintenance task in which tire services adjust the angle of auto wheels to perfect the way the tires contact the road and work in reference to the other wheels and tires. Properly aligned auto wheels keep tires turning evenly for proper tire wear and vehicle performance. If your car tires wear unevenly or your vehicle shimmies or pulls to one side, it can be a sign that your vehicle needs wheel alignment services. You may get a front-end alignment or a four-wheel alignment, depending on your vehicle and needs. New vehicles are properly aligned when they leave the factory, but over time, they become unbalanced. Wheel alignments are needed to bring the wheels and tires back to factory specifications. Vehicles with proper wheel alignment drive more smoothly, get better gas mileage, have longer-lived tires, and make your vehicle more safe. Properly aligned wheels ensure that the car tires more fully contact the road and keep the vehicle running straight. Why Trust Diamond Certified Auto Tire, Wheel and Alignment Shops Rated Highest in Quality and Helpful Expertise®? The following links are further resources for buying new car tires, new auto wheels, and for wheel alignment services. You may find more information from these sources if you don’t find the information you are looking for in the articles above. It’s smart to know what you want before you start the process of buying new car tires or getting a wheel alignment at a local tire shop in Alameda County. If you need new tires, consider your current auto tires. What do you like about them? What would you like to change? If you have a preferred brand, take note of that. 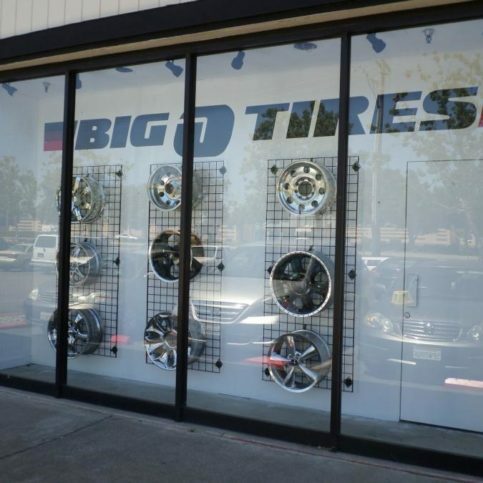 You may also want to be open to the brands that local Alameda County car tire stores recommend for your make and model. You should also consider the recommendations of your auto maker in terms of brands, sizes and special tire features that work best with your type of car or truck. If your current tires are wearing unevenly or your car is pulling to the side or exhibiting other signs of uneven alignment, you should consider what you want from an alignment shop. You’re smart to make notes of what symptoms you’re experiencing, and what signs make you think your car is out of alignment. This can help the shops you interview understand what the problem is and provide more prompt service. Think about the following questions. You may want to write down your answers so you have baseline notes to use when interviewing local tire shops and alignment centers in Oakland, Dublin, Fremont, Newark and Hayward and other areas. Do I want a Diamond Certified alignment shop or tire store that is top rated and backed by the Diamond Certified Performance Guarantee? If it’s a problem I’m experiencing, how long has it been going on? Do I need new tires immediately (in the case of very worn or threadbare tires, or tires with little tread remaining), or do I have some time in which to make a decision? What professional characteristics and services do I expect from my Alameda County auto tires store or wheel alignment center? Once you know what some of the good Alameda County wheel alignment shops and auto tire stores in Oakland, Fremont, Hayward, Berkeley, San Leandro, Alameda, Union City, Pleasanton, Newark, Dublin and beyond can do for you, you may want to visit some to learn in person what they can do for you. What brand and type of new tires do you recommend for my vehicle? Why do you recommend a wheel alignment for my vehicle? Will you provide a written estimate for new tires, new wheels, and/or auto alignment services? How long will it take to install my new tires or align my vehicle? Can you order specialty tires for me, or brands/models that I want that you don’t have in stock? What warranties (manufacturer and shop) come with my new tires, new wheels, and alignment services? Do you have all of the contact information you need in order to contact me when my vehicle is ready? 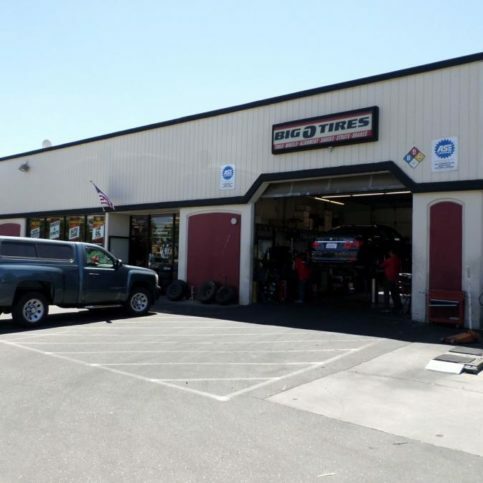 How can you have even more confidence choosing a local auto tires and wheel alignment center in Dublin, Newark, Pleasanton, Union City and Alameda or your area of Alameda County? Start by looking at the independent research and scientific surveys on www.diamondcertified.org. All certified companies have passed an in-depth ratings process that most other companies can’t pass. If you want quality from a tire store and alignment shop in Alameda County and the Greater Bay Area, you can have confidence choosing a Diamond Certified company. It’s best to choose among Diamond Certified auto tires store and alignment services because reports are available online for all certified companies. And you’ll never be fooled by fake reviews because all research is performed in live telephone interviews of actual customers. If you can’t find Diamond Certified auto tires store and wheel alignment service within reach, you’ll have to do some research on your own. It’s wise to call some references provided by Alameda County tire stores and alignment shops. Keep in mind, though, that references provided to you by local auto tires stores and alignment services are not equal in value to the large random sample of customers surveyed during the Diamond Certified ratings process. That’s because references given to customers from companies are generally cherry-picked instead of randomly selected from all their customers. So the auto tire and wheel alignment centers will likely give you contact information for a few customers to call that they know are satisfied. Still, it can be helpful to get some input from previous customers. So if you do decide to call references, ask for a list of the alignment and new tire installation company’s 10 most recent customers. This will help avoid them giving you the names of only customers they know were satisfied. What did this company do for you and your vehicle (new tire sales, car tire installation, new car wheels, wheel alignment services, full wheel alignment, two-tire wheel alignment, flat tire repairs, etc.)? Were you satisfied with the new tires, new wheels, wheel alignment services, or what this auto tires and wheel alignment shop did for you? Were you pleased with their tire selection, if you bought new tires? 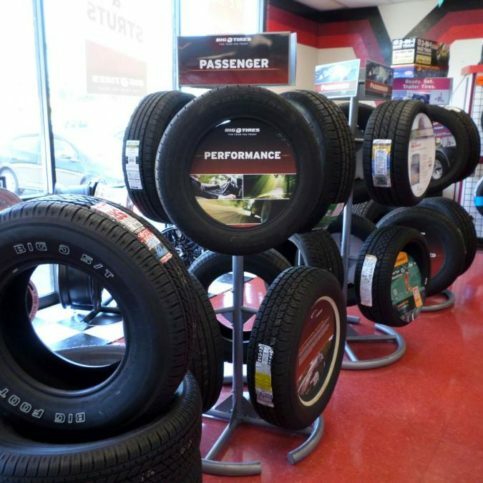 Did you feel that the tire sales staff were knowledgeable about the new tires and car wheels they stocked? If you wanted a type of tire this Alameda County auto tire center did not have in stock, were they willing to order it for you or show you a comparable make and model they did have in their store? Were you pleased with the turn-around time if you had new tires or wheels put on your car or wheel alignment services? 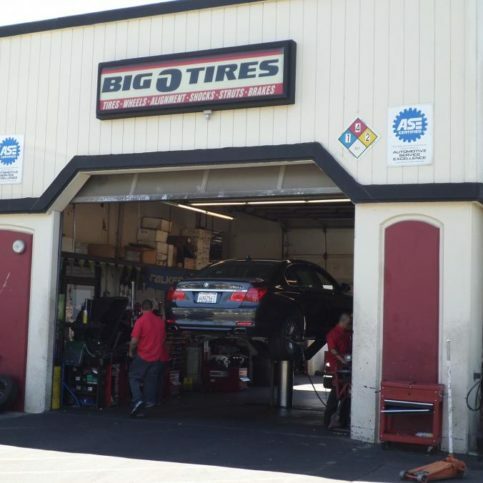 Did the staff of this Alameda County auto tires and alignment shop communicate well with you? Was the price was fair for the new tires or auto alignment repairs you had done? Did the end cost match the estimate initially provided to you? 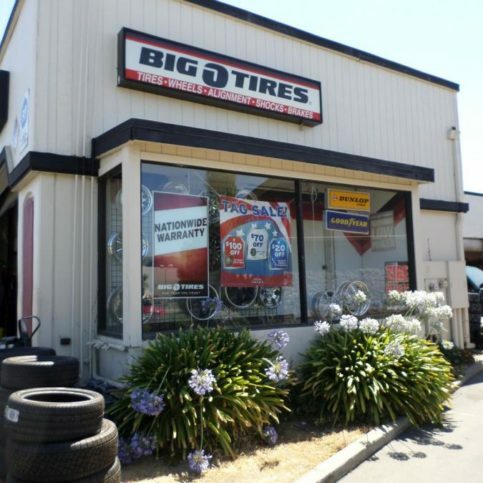 What did you like best about this Alameda County tire shop and wheel alignment center? Would you go back to this alignment shop and tire center when you need new tires or your vehicle needs another alignment? Would you recommend /have you recommended this tire, wheel and alignment shop to friends and family? Is there anything I should know before choosing this Alameda County tire, wheel and alignment center? You should never feel pressured to choose a particular auto tire, wheel and alignment center in Alameda County, whether you live in Oakland, Dublin, Fremont, Newark and Hayward and have many choices or in a smaller area such as Castro Valley, Emeryville, Mt Eden, Russell City, Piedmont, Cherryland and have fewer options. Now that you’ve done some research, including phone interviews with local tire shops and their customers, and in-person visits to local tire and alignment centers, you should have a good idea of which stores can best meet your needs in terms of products, services and customer service. Before deciding on the best auto tire centers and wheel alignment shops in Alameda County for you, think about what you’ve learned and ask yourself the following questions. 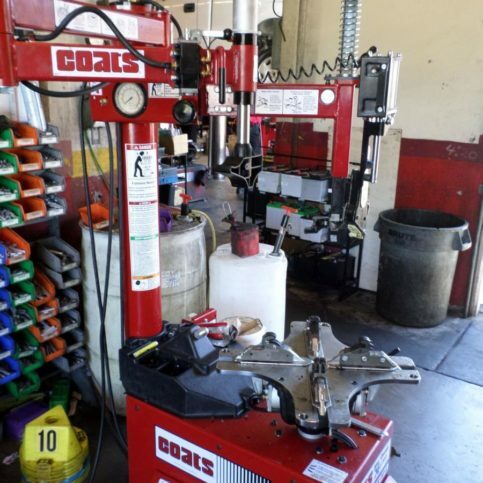 Is there an auto tires, wheels and alignment center in Alameda County that can satisfy your requirements for scheduling, needed repairs or new tires, customer service and more? Do the tire sales staff or alignment mechanics communicate clearly about what you need and the best options for you? Did you feel more comfortable with one tire and alignment center? 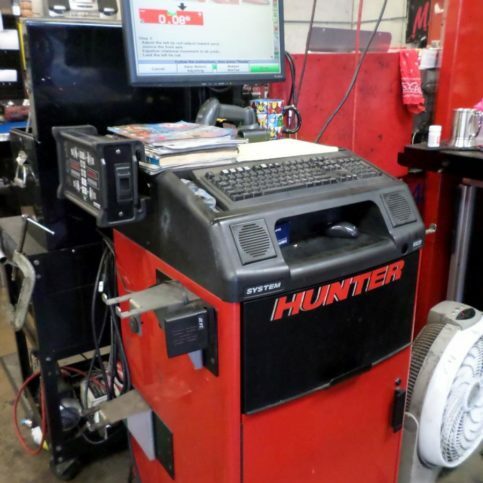 Does one wheel alignment shop or tire center stand out above the rest? 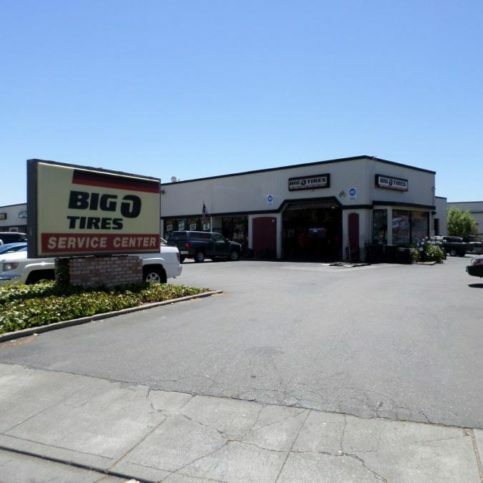 There are likely several auto tire centers and wheel alignment shops in Alameda County that can meet your needs, including those in Oakland, Fremont, Hayward, Berkeley, San Leandro, Alameda, Union City, Pleasanton, Newark, Dublin and your town. So, choosing the best one for you may be your biggest task. First, you’ll want to interview local shops and find out which local auto tires, wheels and alignment shops can best meet your needs in terms of services, products and customer care. During this step, you’ll ask the questions listed above and talk with the tire installers and wheel alignment mechanics about the services you need and what they can offer you. You may want to talk with several local tire and wheel dealers, but limit your conversations to a small number of quality candidates. Shopping for cheap tires or cut-rate wheel alignments can skew your price expectations and can leave you with substandard products and services. By considering only the best tire shops and wheel alignment centers, you’re more likely to get fair pricing and quality products. Once you’ve narrowed your choices to the one to three auto tires and alignment centers, you’ll want to get an estimate for the new tires or wheel alignment services you need. You’ll want a written contract that explains what you’re getting and what it will cost you. This should include the total cost for parts and labor, the exact materials or products to be used (including specific brands and model numbers of tires), and any warranty or guarantee information. Good Alameda County auto tires and wheel alignment centers in Pleasanton, Berkeley, Union City, San Leandro and Alameda and other areas will give you a contract that protects your interests and theirs. So read through the contract you get and be sure you understand the entire scope of work and materials to be used. You should also discuss timelines, especially if you are ordering custom tires or having tire installation services or wheel alignment performed. Once you get an estimate or two, you will be better equipped to choose the right auto tire, auto wheel and wheel alignment center for you. 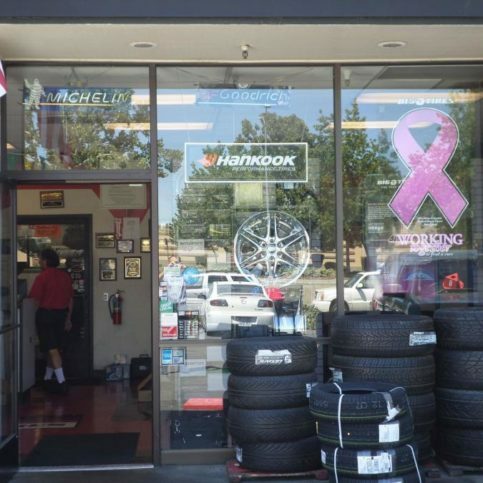 Whether you choose an auto tire and wheel alignment center in San Leandro, Berkeley, Hayward, Fremont and Oakland or the rest of Alameda County, there are a few simple steps you can take to help ensure you get the products and services you need. 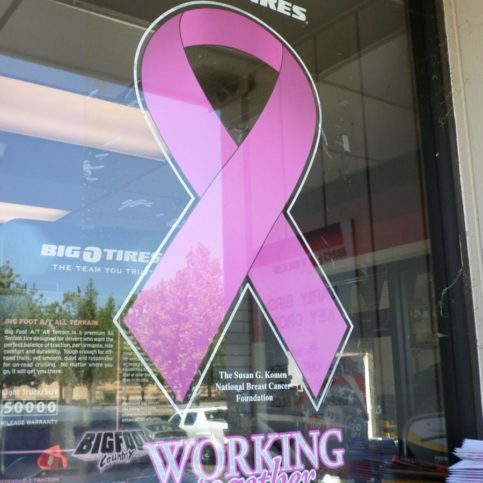 First, be sure you’ve chosen professional auto tire services and wheel alignment centers that are known for their history of service to the local community. 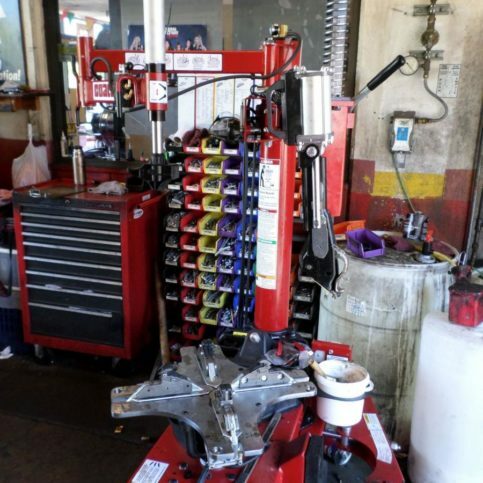 Choosing auto tire, wheel and alignment centers that have a good reputation can help assure you that you’ll also have a good experience with the shop and get the services and products you need. Before you move forward with the new tire installation, new wheel replacement or wheel alignment services, talk with the shop employees and confirm that you are on the same page when it comes to materials, brands, quality, services and price. This can avoid misunderstandings, disagreements and costly errors. Make and keep appointments for services. It’s important to communicate with your Alameda County auto tires and wheel alignment shops if you can’t make your appointment or need to reschedule. Likewise, make sure your chosen tire store has your contact information so they can reach you if they have difficulty getting in the tires you want to buy or need to reschedule your appointment. How Can You Be a Good Auto Tire and Wheel Alignment Shop Customer? It’s your auto tire and wheel alignment shop’s job to help you choose the best new car tires and alignment services for your needs, and to perform the work to the highest standards. But you also play a big part in the success of your new tires and car alignment. Here are a few simple steps you can take to be a good customer when choosing Alameda County auto tire stores and alignment centers in Dublin, Newark, Pleasanton, Union City and Alameda and beyond. 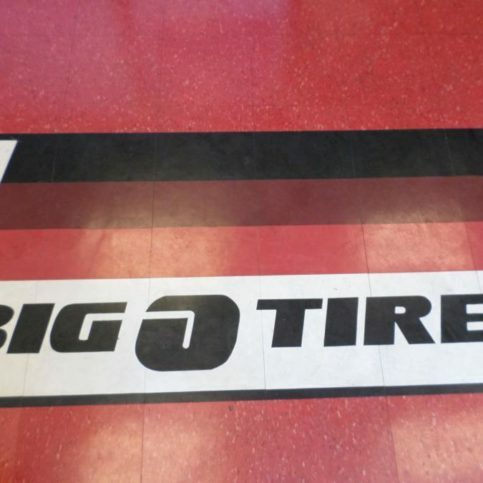 Be clear and upfront with the auto tire and wheel alignment store staff. Let them know what you want and how they can satisfy you. Remember, staying calm and positive helps alleviate frustrations and tension. Most problems with local auto tires stores and alignment services in Alameda County and other areas occur because of a breakdown in communication. By being clear about your expectations and those of the shop staff and sales people, you can avoid most conflicts. Ask your auto tires and wheel alignment shop if you should call to check on the work’s progress or if they will call you with updates. Be sure your service representative has a phone number where they can reach you at all times. The work will move along more smoothly if your auto alignment shop can reach you for updates, questions and work authorizations. Return calls promptly to keep the new auto tire sales and wheel alignment work on schedule. Pay for your new car tires or wheel alignment work promptly. Why would you want to be a good customer when dealing with auto tire shops and wheel alignment garages in Alameda County? Auto tire and alignment companies appreciate customers who are straightforward, honest and easy to work with. Your good customer behavior sets the tone from your end and creates an environment conducive to a good relationship. Your new tire purchase and wheel alignment services may very well go smoother and any problems may be more easily resolved. The Alameda County auto tires stores and alignment shop’s name, physical address and license number. A complete list of all work performed and new tires purchased. An itemized list of all materials used or installed. The total cost for the new car tires and alignment work, including an itemized amount charged for labor. A written explanation of any warranties or guarantees provided by the tire manufacturers, tire installers and wheel alignment shops. Remember, it’s your right to have any old parts (including old tires) returned to you or at least shown to you if you ask for them before the work begins. Whether you visit an auto tire store and wheel alignment shop in Oakland, Dublin, Fremont, Newark and Hayward or any other area, comparing the invoice you receive and the work you actually get is a wise idea. Look for any discrepancies and ask your tire or alignment professional for clarification before you leave the store or the alignment shop. Before you leave your Alameda County auto tires, wheels and alignment shop, confirm any warranties that apply to your purchase. This may include warranties on new tires provided by the tire manufacturers and installers, and guarantees on the wheel alignment services you’ve received. 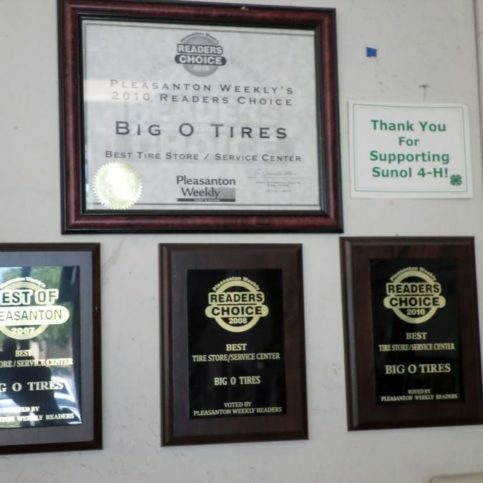 Not all tire stores and wheel alignment centers in Pleasanton, Berkeley, Union City, San Leandro and Alameda and the rest of Alameda County guarantee their work and their products. However, those that do must give you a written document informing you of the coverage details and your responsibility in claiming warranty coverage in the event of a product or service failure. The Alameda County auto tires store / alignment shop’s name, physical address and license number. A description of exactly what the warranty covers and who is responsible (the manufacturer or dealer). This includes whether the auto tire and wheel alignment center will repair or replace any faulty materials or workmanship. Your responsibility in the case of a problem and what you need to do in order to redeem the warranty for faulty or bad tires, or problems with your wheel alignment services. If the warranty coverage is transferable to the new owner if you sell the vehicle on which the new tires or wheels were installed or on which the wheel alignment was performed. For car owners in Alameda County, including those in Oakland, Fremont, Hayward, Berkeley, San Leandro, Alameda, Union City, Pleasanton, Newark, Dublin and other cities, having a variety of choices when it comes to auto tire sales centers and wheel alignment shops is convenient and helpful. Most local wheel alignment services and car tire shops offer similar services and quality products, including the following popular services and new tire brands. New car tires, including radial tires, winter tires, mud tires, all season tires, high performance tires, custom tires, touring tires, street tires, summer tires, passenger tires and more, are car tires installed on passenger cars. New truck tires include mud tires, snow tires, high performance truck tires, off-road tires and more. Truck tires are installed on passenger trucks and commercial trucks. High performance tires are those that have a low profile and provide good traction year-round. High performance tires have flexible construction including tough compounds and carefully-designed treads that allow for good handling of your vehicle despite conditions. 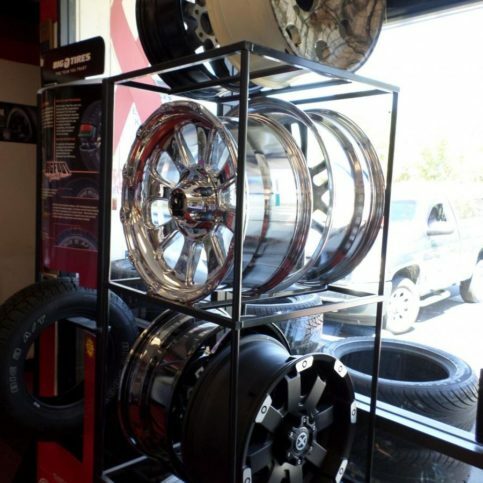 New custom vehicle tires are custom fitted and designed tires and wheels for your specific vehicle. Custom tires often include custom tread patterns, wheel offsets, and appearance that allow car owners to customize the look and feel of their car. Sometimes referred to as aftermarket tires. Tire installation is a task best suited to a professional tire installer who has the correct tools and experience to do the job correctly. 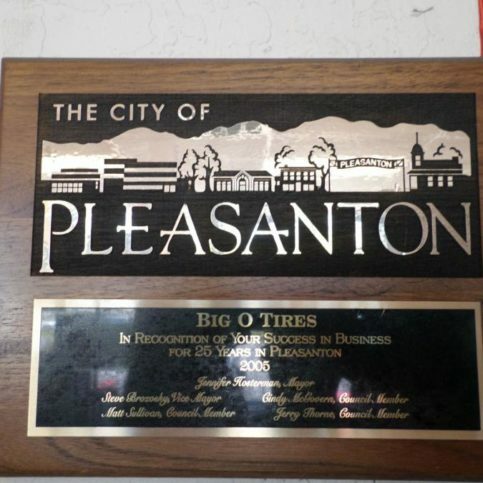 Tire installation services in Alameda County is performed at tire stores and auto shops with tire and wheel expertise. Not all damaged or flat tires require tire replacement. Instead, some may be repaired for much less cost than that of new tire installation. 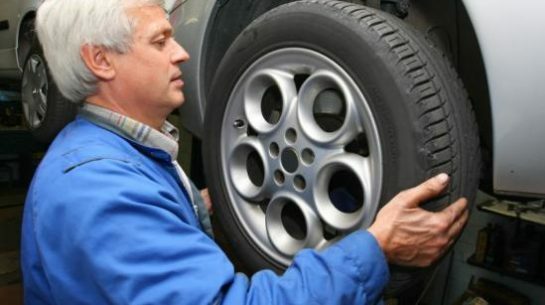 Tire repairs may include tire treat repair, flat tire repair, tire bead repair, and tire tube repairs. Call your auto tire shop to find out if your tire problems can be repaired or if they require replacement. New car wheels are replacement wheels. These may be required for damaged wheels, but are often chosen as aftermarket car wheels to customize the appearance of a car or truck. New auto wheels can be an easy and relatively inexpensive way to upgrade and personalize the appearance of your vehicle. 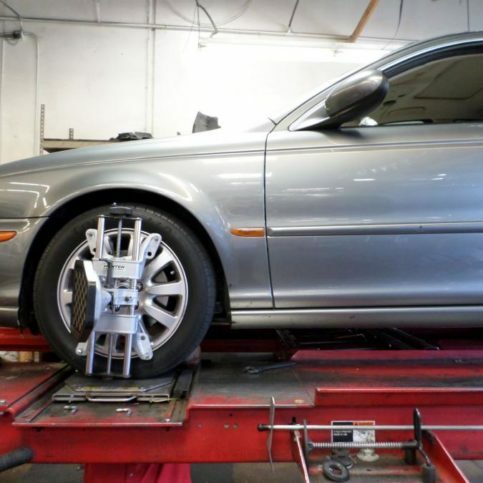 Car owners in San Leandro, Berkeley, Hayward, Fremont and Oakland and the rest of Alameda County have many options when it comes to wheel alignment services and shops that provide wheel alignment services. Wheel alignments are professional adjustments that optimize the position and angle of a car or truck’s wheels in relation to the other wheels and the road surface. Keeping your vehicle in good alignment can reduce uneven tire wear and problems with the wheels and tires. Tires that are damaged beyond repair will need to be replaced. 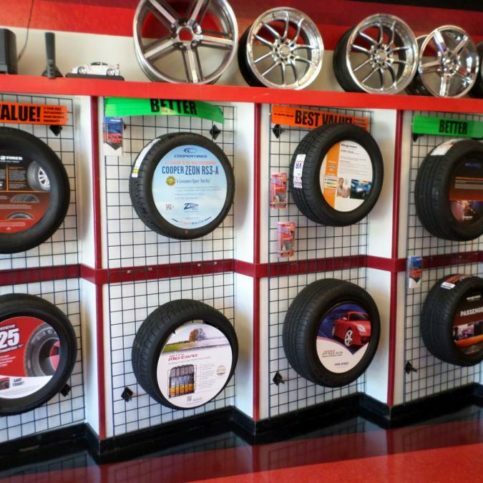 Replacing your tires is best done at a certified auto wheel and auto tire shop. There, the technicians can help you choose the best replacement tires for your car or truck, whether you need custom tires or inexpensive car tires to replace those that came on your vehicle. Tire rotation services move the tires from front to back and side to side to ensure even wear on the tires. This help prolong the life of your car tires or truck tires and prevents damage due to too much wear on one area of the tire. Tire rotation services should be provided by a qualified tire shop. If your car needs tire rotation services more often than recommended, it may be a sign that your vehicle needs alignment services. If you want a specific brand or model of tire, be sure to ask the Alameda County auto tire stores near you if they carry those makes and models. 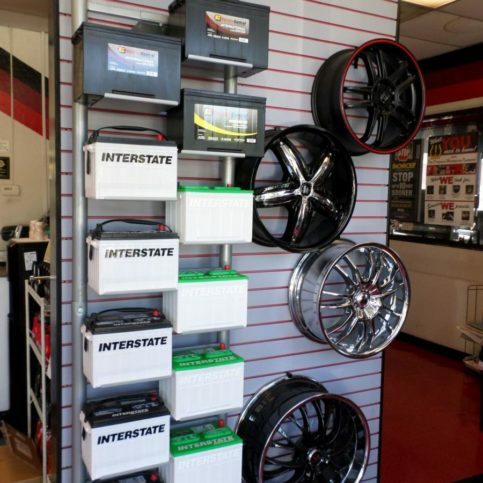 Not every car tire store in Dublin, Newark, Pleasanton, Union City and Alameda, Ashland, Castro Valley, Cherryland, Emeryville, Komandorski Village, Livermore, Mount Eden, Piedmont, Russell City, San Lorenzo, Sunol and beyond carries all brands. 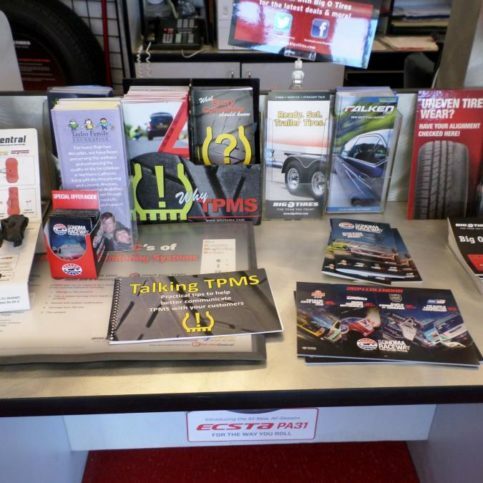 So, if brand or make is of utmost importance to you, make that a cornerstone of your talks with local tire shops. The following glossary includes terms common to local auto tires and auto wheels centers, and wheel alignment shops. The amount of air inside a tire that presses outward on each square inch of tire surface. Air pressure is measured in pounds per square inch (PSI). Tire alignment is when all wheels on a vehicle are correctly adjusted (in alignment) so that they are pointed in the right direction for correct contact with the road and in reference to the other wheels. All season tires provide proper traction on snow, ice, wet roads, hot roads and dry pavement with correct and safe driving capabilities. They are also known for providing a quiet ride regardless of road conditions. Carrying capacity is how much weight tires are designed to carry when inflated to the correct pressure. This is an important factor for heavy vehicles, towing vehicles and overloaded vehicles. 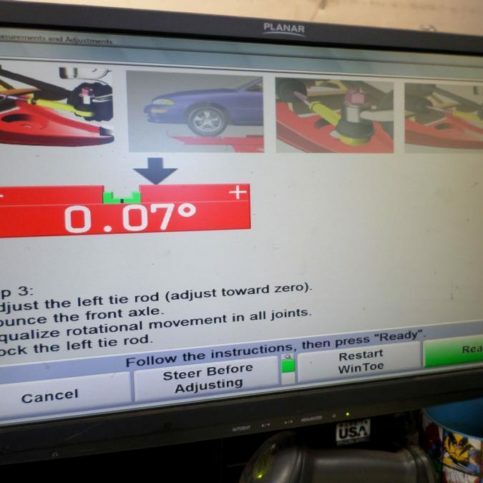 The centerline of a vehicle is the imaginary line drawn down the center of the vehicle that helps wheel alignment centers measure correct alignment tracking. The amount of air pressure in a tire as measured before the tire has built up heat from driving. Cold inflation pressure is important to know, since all PSI numbers are generated using cold tires that have not been driven, have rested more than an hour after driving a long distance, or have been driven less than a mile. Tires that are rated to carry heavier loads have a higher maximum inflation pressure higher than standard tires. High performance tires offer better handling, grip, and cornering ability than standard tires. High-performance tires are also rated for operation at higher speeds than non-high-performance tires. Also known as: maximum performance tires, ultra-high performance tires, super performance tires, performance tires. Highway tires are safe for driving in heat, rain, and on dry pavement, but they are not recommended for winter driving. Highway tires may be considered year-round tires for customers living in the Greater Bay Area and other temperate climates. Light trucks are smaller passenger pickups, light duty trucks and passenger trucks. They may also include passenger vans, SUVs and other non-car passenger vehicles. 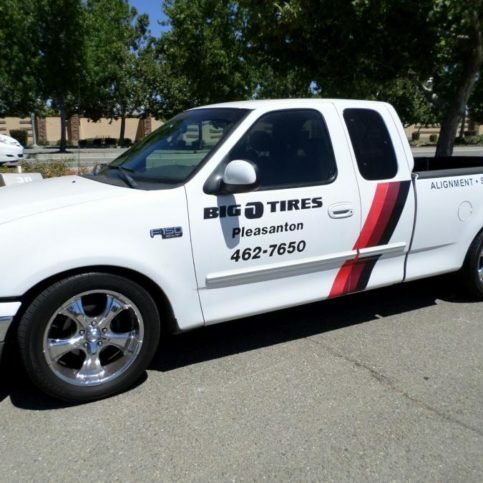 Light truck tires are those that are correctly sized for vehicles of this size. Luxury performance tires are those designed for and installed on luxury sedans, and other luxury touring vehicles. Touring tires for luxury cars provide performance handling and smooth rides. The maximum air pressure to which it’s safe to inflate a cold tire is known as that tire’s maximum inflation pressure. The maximum inflation pressure number can be found molded onto the sidewall. Tire misalignment happens when a vehicle’s front and/or rear tires are not properly aligned. This can be as a result of suspension problems, frame misalignment or other structural problems. Having a wheel alignment service can remedy this problem. MSRP stands for Manufacturer’s Suggested Retail Price and refers to the price of new tires as suggested by car tire manufacturers. The MSRP is usually the price you will see new tires listed for; however, you may find tire sales that offer tires for less than what the manufacturers suggest. Too much air in a car tire is known as overinflation and causes premature wear in the center of the tire treads. It can also cause a car to be less stable on the road. Avoid tire overinflation by referring to the suggested PSI or tire pressure for your tires and vehicle. This can be found on the sidewall of the tire and in your car’s user manual. The penny test is a simple test that allows anyone to check the proper tire tread depth with an ordinary penny. To perform the penny test, take a penny and insert it into the treads of your tire with Lincoln’s head down and facing you. If you can see the top of Lincoln’s head above the treads, you are in need of new tires. PSI stands for ‘pounds per square inch’. This is the standard measurement for the desired and maximum pressure in auto tire as measured by the pressure per square inch being exerted on the inner walls of the tire. A type of auto tire with the tire plies (the cords embedded in the rubber of the tire) run at 90-degree angles to the center line of the tread. This gives the tire better structure and strength, so it wears longer and better. Run flat tires are designed to resist deflation when punctured or damaged. This enables the driver to continue driving (at a reduced speed and for a short distance) long enough to get the car or truck to a tire shop where the tire can be repaired or replaced. Snow tires are manufactured with a deeper and wider tread pattern that gives the tires better traction in snow, ice and other winter conditions. Snow tires have inscriptions such as M+S, M&S, or M/S on the tire sidewall. Tires for vehicles (technically pneumatic tires, or tires inflated by air) are made of rubber, chemicals, fabric, and metal. Auto tires are designed to provide traction, dampen road shock and carry a load under varying road and weather conditions. Putting a new tire on a car wheel and balancing the assembly is known as tire mounting. New tires need to be professionally mounted so you can trust they have been installed properly. Tire mounting should not be done by an amateur or person without professional tire mounting experience and the tools to do it safely and correctly. Changing auto tires from front to rear and side to side is known as tire rotation. Tire rotation should occur according to a set pattern to help create even treadwear, which gives tires a longer life and safer ride. Tires should be rotated every 6,000 to 8,000 miles or as recommended by the tire manufacturer. The part of a tire that contacts the road. Tire treads come in a variety of thicknesses, patterns and wear durability that is unique to the type of tire and its rating. Tire treadwear indicators are narrow bands that appear across the tread of a tire when it is time to replace the tire. The distance from the center of the front wheels to the center of the rear wheels on the same side of the vehicle is known as a vehicle’s wheelbase. Q: Why choose Diamond Certified auto tires stores and alignment services? A: Diamond Certified helps you choose among good local auto tire stores and wheel alignment services with confidence by offering a list of top-rated local companies who have passed the country’s most in-depth rating process. Only auto tire centers and wheel alignment services rated Highest in Quality and Helpful Expertise® earn the prestigious Diamond Certified award. Most companies can’t pass the ratings. American Ratings Corporation also monitors every Diamond Certified company with ongoing research and ratings. And your purchase is backed by the Diamond Certified Performance Guarantee. So, you’ll feel confident choosing a Diamond Certified auto tires center and alignment service near you. A: Most tires have tread wear indicators built right into the treads. When tires are worn down to the level where replacement is recommended, a solid bar of rubber will appear across the tire’s treads. If your tires do not have tread wear indicators, you can use a penny to test tread depth. Insert a penny into the tread gap with Lincoln’s head down and facing you. If the top of Lincoln’s head is visible, you need new car tires. Q: Can I mount my own tires? A: Putting new tires on your car wheels is never a good idea to do yourself. Tire mounting requires equipment and expertise that most people do not have at home. Instead, call a professional auto tire and wheel expert for a job you can trust. You risk injury and even death, along with tire, rim and wheel damage if you try to put new tires on your own car. Q: What is a wheel alignment? A: Wheel alignment is the proper fit and rotation of your car’s tire and wheel components. Properly aligned wheels keep tires turning evenly for proper tire wearing and vehicle performance. If your car tires wear unevenly or your vehicle shimmies or pulls to one side, it can be a sign that your vehicle needs wheel alignment services. 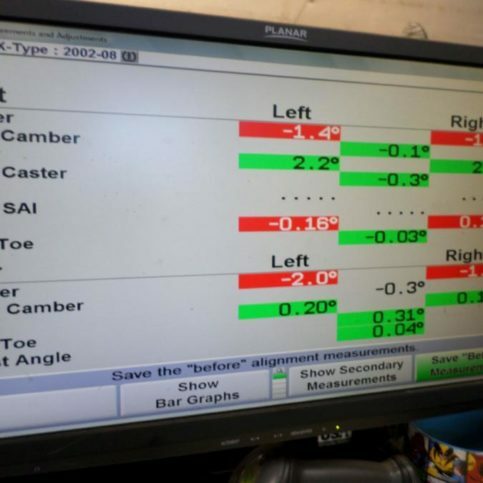 You may get a front-end alignment or a four-wheel alignment, depending on your needs. Q: How much should I inflate my tires? A: The amount of air you should put in your tires depends on the brand and model of tires. Every tire has a maximum inflation pressure stamped on the side, and your auto manufacturer will include a recommended tire inflation pressure in your car’s owner manual. Check your tire’s air pressure when the tires are cold, and at least an hour since it was last driven. You should also adjust and check your tire pressure before long trips, when driving with a heavy load, and at every fill-up. Q: Can tires be repaired? A: Tires may be repaired, depending on the damage they have sustained. However, tire repairs should only be done by a qualified tire service or tire repair technician. Tires that have been improperly repaired can blow out or fail, which can cause serious injury or death. Tires that have a small puncture that is in the tread area are the best candidates for tire repairs. These small punctures can usually be patched from the inside of the tire. Tires must be removed from the wheel in order to ensure a proper repair. Q: What are run flat tires? A: Run flat tires are tires that are specially manufactured to resist deflation after being punctured. These tires allow the driver to safely drive—at reduced speed and for a short distance—to a tire repair shop or tire store. Run-Flat Certified Retailers are authorized to inspect and repair run flat tires. Q: What are reasons tires can wear more quickly than expected? A: Tires can wear prematurely if they aren’t properly rotated, are inflated improperly (either overinflated or underinflated), improper vehicle alignment, worn wheel parts and other parts near the tire, poor driving conditions, aggressive driving style, and many other reasons. Good tire stores and tire shops can inspect your tires and tell you why your tires are wearing too quickly, unevenly, or improperly. They may also be able to repair the problems causing the tire wear, or direct you to an auto repair shop to perform the needed repairs. Q: Why should I get a car wheel alignment? A: Vehicles with proper wheel alignment drive more smoothly, get better gas mileage, extend the life of the car tires, and make your vehicle more safe. Properly aligned wheels ensure that the tires more fully contact the road and keep the vehicle running straight. Wheel alignments should be performed when you have new tires installed, if you notice uneven tire wear, if you’re in an accident—even a minor fender-bender, if your vehicle pulls to one side when you drive, if you have run over or into a curb or a large pot hole, or if you notice anything about your wheels or tires that causes you concern.